We live surrounded by sounds and vibrations. We receive everyday huge amount of impulses that we can’t limit or control. To balance this challenging situation, it is very important to find ways to relax and calm down. The natural harmonics in sound bowls effect both physically through vibration and as a pleasant listening experience. They help recovery and balance both body and mind. I have studied all levels of the Peter Hess sound bowl massage, and I am now ”Peter Hess-Sound Massage Practitioner” with international degree. Sound bowl relaxation is a very comfortable way to diminish stress. You need only reasonably silent space and comfortable seat. Mattress, pillow and blanket would be excellent. If there is chance to dim the lights, even better. This kind of “soundbath” can be enjoyed simultaneously for a group up to ca. 25 persons, when the room is big enough and suitable. 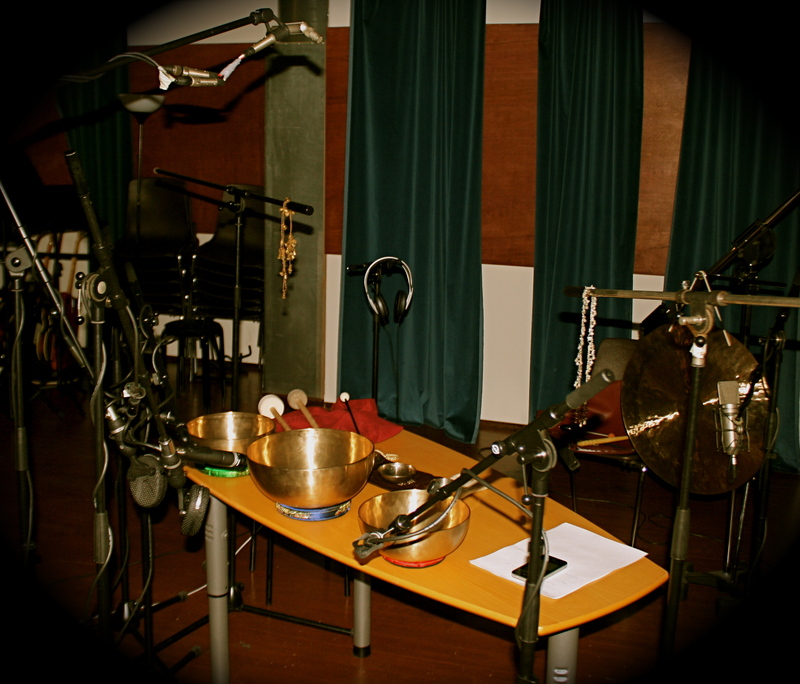 If you have previous experience of the vibration of the sound bowls, you can relax even faster and deeper. With this kind of session it is possible to recharge your energy levels and get strong contact to your creative capacity and intuitive wisdom in less than one hour. Sessions can be ordered to various occasions, to companies, private homes, birthday- or bachelor festivities. Download version of sound bowl relaxations is now available in iTunes. In my tradition, we use the temple bells to remind us to come back to the present moment. Every time we hear the bell, we stop talking, stop our thinking and return to ourselves, breathing in and out and smiling. Whatever we are doing, we pause for a moment and just enjoy our breathing. When we breath in, we say: “Listen, listen”, and when we breath out, we say: “This wonderful sound brings me back to my true self”. Since I have come to the West, I have not heard many Buddhist temple bells. But fortunately, there are church bells all over Europe. There do not seem to be as many in the United States; I think that is a pity. Whenever I give a lecture in Switzerland, I always make use of the church bells to practice mindfulness. When the bell rings, I stop talking and all of us listen to the full sound of the bell. We enjoy it so much! (I think it is better than the lecture!) … We can get in touch with the wonders of life that are around us – the flowers, the children, the beautiful sounds. Every time that we get back in touch of ourselves, the conditions become favourable for us to encounter life in the present moment.